The 1988 Olympic Summer Games were held in Seoul, South Korea. 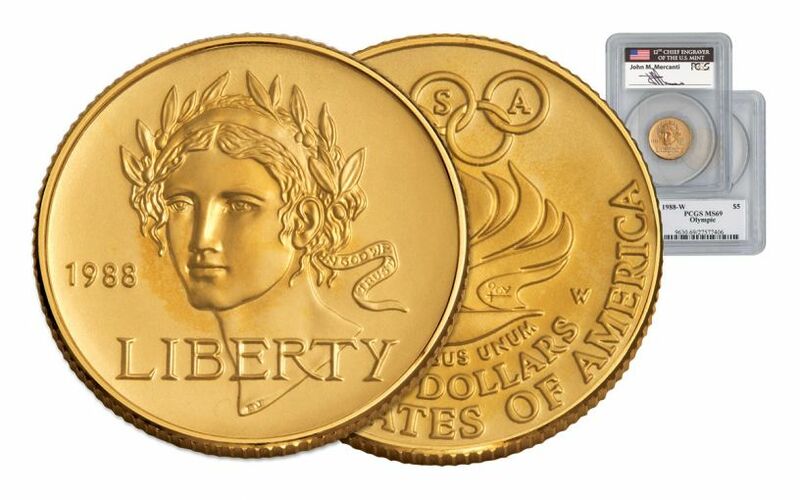 To Commemorate the 24th Summer Olympiad, the West Point Mint struck this $5 Gold Commemorative. 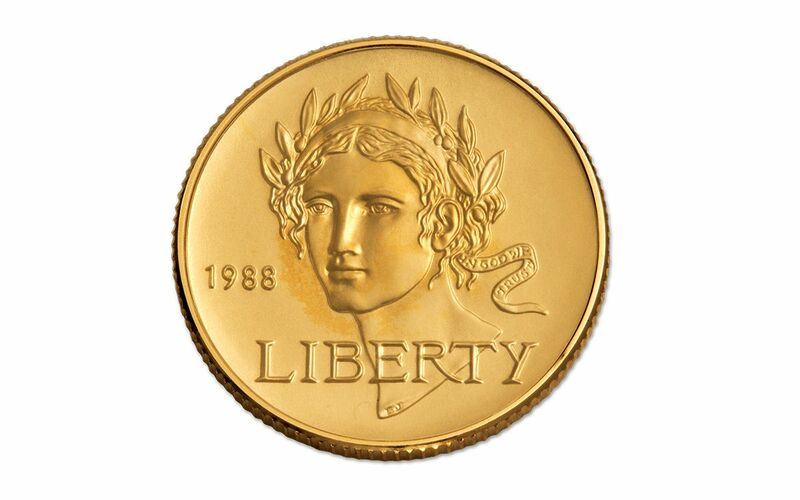 It weighs 8.36 grams of 90% gold and features Lady Liberty portrayed as Nike the goddess of victory on the obverse designed by Elizabeth Jones. 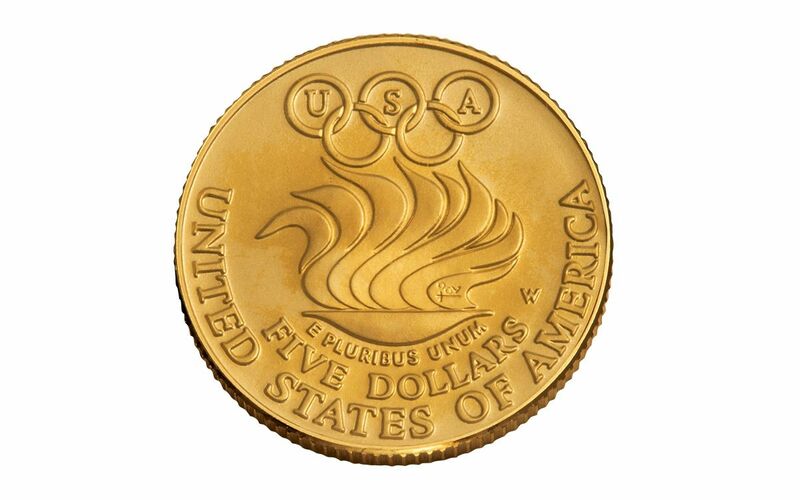 The reverse shows a stylized flame beneath the Olympic rings, designed by Marcel Jovine. This example grades near-perfect Mint State-69 (MS69) by Professional Coin Grading Service (PCGS). 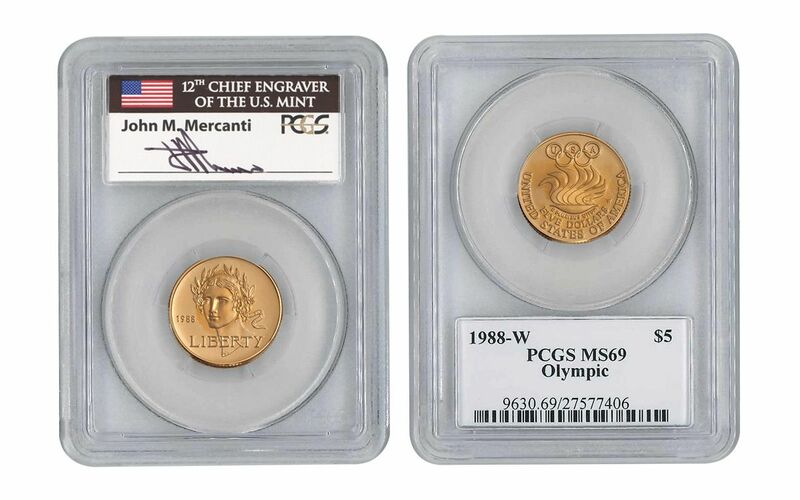 The coin's label is also hand-signed by John Mercanti, the 12th Chief Engraver at the U.S. Mint. John Mercanti produced more coin and medal designs than any employee in United States Mint history (dating back to 1792). He designed the reverse of the Silver Eagle and the obverse of the Platinum Eagle that has been struck in proof condition annually since 1997. He designed quite a few modern gold and silver commemoratives in addition to five states in the States Quarter Program. It's been nearly thirty years since this special Olympic gold commemorative was issued. In that time, many new collectors have been attracted to collecting Olympic coins. But, these $5 gold coins just get harder and harder to find. Don't miss out. Order yours now.